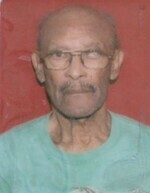 Blackman – Kenneth Belfield, aged 93, also known as 'Blackman', 'KB' or 'Brother', late of Ivy Main Road, St. Michael. Former employee of Brydens & Sons Limited, entered peacefully into rest on Thursday, 1st February 2018 at his residence. Son of the late Albertha Shannon. Father of Kenneth Cortez Alleyne (BWA). Father-in-law of Andrea Archer-Alleyne (School Warden St Philip’s Primary). Relative of Eulah Cains, Kenrick Blackman, Patricia Nelson (UK), Norma Grannum and many others. The funeral of the late Kenneth Belfield Blackman leaves Tudor’s Funeral Home, The Ivy, St. Michael on Saturday, 17th February 2018 at 9:00a.m. for the CEF Miracle Centre, Ivy Main Road, St. Michael where relatives and friends are asked to meet at 10:00a.m. for the Service. The cortege will then proceed to the Westbury Cemetery for the Interment. The organist is asked to attend. Flowers may be sent to Tudor’s Funeral Home no later than 8:45a.m. on Saturday. The body will repose for viewing in the Chapel of Tudor’s Funeral Home on Friday from 4:00p.m. until 6:00p.m.